Everyone should have the chance to enjoy the extraordinary tastes and flavors of California! 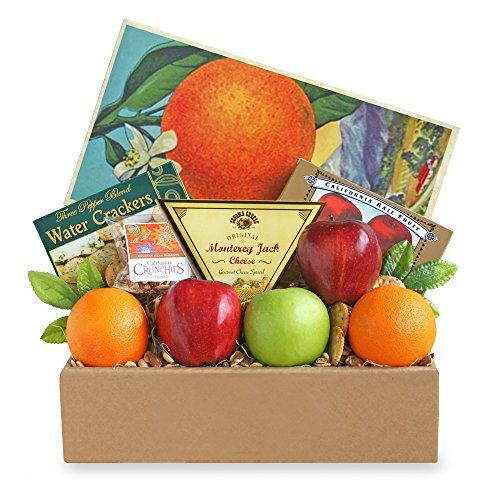 Give the gift of the Golden State with this gift box that holds farm fresh fruits and delicious sweet and savory gourmet snacks. Crunchy apples and juicy oranges are ready to eat, along with creamy Monterey Jack cheese, Three Pepper water crackers, Central Valley seasoned almonds and California Rail Fruit candy. Send a little West Coast sunshine their way.